Life may not be a popularity contest, but there's something to be said for the interiors that garner the most likes on our Instagram, @hunkerhome. It's always fascinating to see what spaces inspire you — our readers. So every month, we reminisce on the top five posts that have struck a chord. Today, let's count down to the most popular image posted in September 2018. 5. Pay attention to details, like textures and patterns, for a boho-inspired bedroom that doesn't feel overwhelming. 4. We love the romantic feel of floor-to-ceiling puddle curtains in this bedroom. 3. Throw pillows make your home cozy for fall. 2. Glass walls offer separation without closing off your space. 1. Obsessed with industrial style? 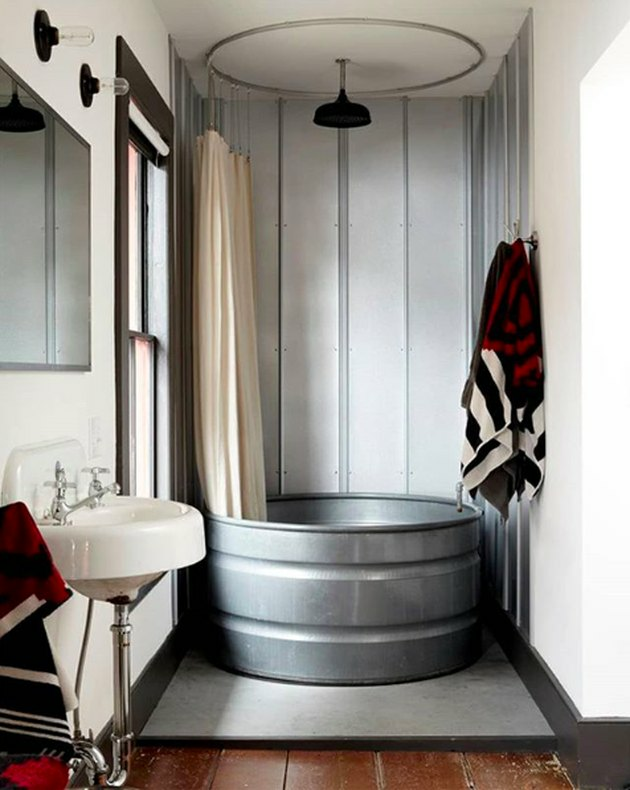 Skip the traditional tub and opt for a more rustic galvanized steel option.